Okay guys. Here’s the thing. I need to tell you a secret. It is something that has been plaguing my mind for a long time now – for eight months, to be exact, following my move to Bergen, Norway through university for a language exchange year. I hope you don’t judge me for this, and I hope you won’t see me in a different light, but I feel like I can’t continue living here and talking to people until I get this off my chest. Okay. Here goes nothing…I have never seen Braveheart. I know. I know. I’m a disgrace to Scots everywhere. Since we’re laying our souls bare I should probably also admit that I’ve never seen Trainspotting, I’m not particularly fond of haggis, and I don’t drink whisky. Prior to my move to Bergen I never would have thought that these facts were anything out of the ordinary: plenty of people haven’t seen classic films, drinking whisky is like drinking liquid explosions, and surely I can’t be that unusual in disliking minced sheep organs boiled with spices in a bag made from the animal’s stomach. Right? Do you see sheep everywhere? Do people actually like haggis? Can you speak Gaelic? How many foods is it actually possible to deep fry? What’s your favourite whisky? Do you have a kilt? Why don’t you have ginger hair? Remember that scene in ‘Braveheart’ when…? In all fairness, I am not sure what is funnier: the fact that these Norwegians have such a souvenir-shop ideal of what Scottish people are like, or their reaction when I tell them that I do not actually conform to this ideal. At the same time, I hate disappointing people and I have seen the face of many a crestfallen Norwegian whisky enthusiast or Trainspotting fan crumple in disappointment when they discover that I, a native, do not share their passion for something that comes from my country. However, it would be foolish to imply that, as a Scottish person in Norway, it is only Scotland that is on the receiving end of these preconceived notions and ideas. Norwegians and Norway itself are rich with stereotypes – incredibly patriotic and active people who have a lot of oil money and eat a lot of fish and ski everywhere and wear chunky knitted jumpers and listen to ‘What Does The Fox Say’…the list goes on. But are these stereotypes actually representative of these quiet, fascinating people from the north? At the other end of the spectrum I can’t deny that there have been many instances where both myself and the Norwegians I know have conformed to our respective stereotypes in the most glorious fashion possible. I cannot count the number of locals I have seen wearing large knitted jumpers. 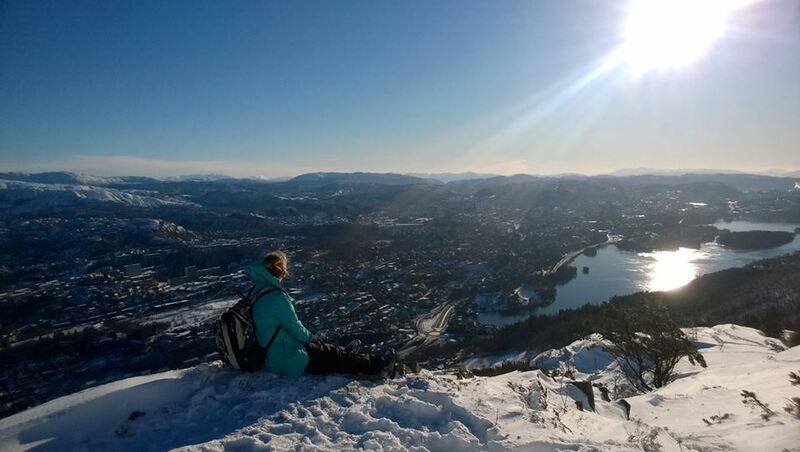 When Bergen was hit with a snow-storm a few weeks ago, the place was swarming with Norwegians clutching their skis and heading into the mountains. I even witnessed a man simultaneously skiing and walking his dog, and it is also no secret that even older Norwegians are unbelievably fit and have run past me as I struggle up a mountain more times than I would like to count. Furthermore, many Norwegians have found it both amusing and slightly horrifying that I am, in fact, a lover of deep-fried food, and I must admit that I love telling people that I actually do love the sound of the bagpipes. 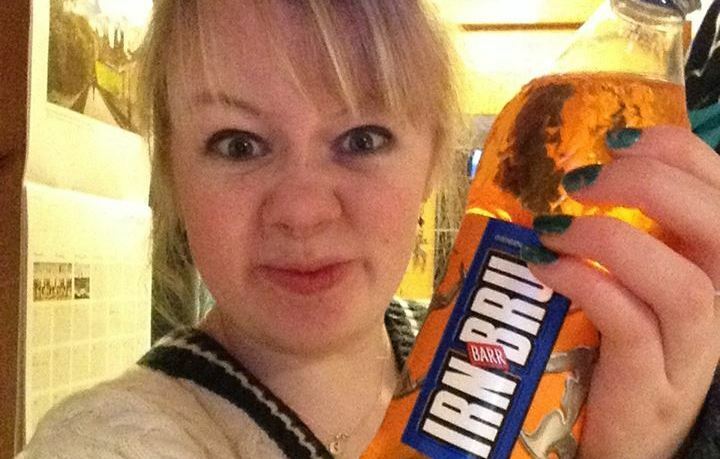 I have likewise realised just how much I miss Tunnock’s Teacakes, and I was also irrationally ecstatic when I discovered a little food shop in the centre of Bergen that sold bottles of Irn Bru. The good thing about the stereotyping I have experienced is that it has not been offensive or harmful in any way. It is true that one does find instances of extreme stereotyping of people from certain countries, religious groups or schools of thought, and nobody can deny that this is damaging to progress and something which should not be taken lightly. For all the stereotyping, preconceptions and general ideas we have about different cultures, I think it is safe to say that we are really not all that different. What I have loved about being in Norway is that it is similar enough to Scotland to feel comfortable, but different enough to learn lots of new customs, beliefs and ways of living, even if they don’t always match up with the preconceived ideas we may initially have. That being said, even though it is obvious that we are much more than our stereotypes, I cannot deny that, for me at least, it can be quite fun to play up to them from time to time, just to have a little bit of fun. Time to buy an overpriced bottle of Irn Bru and finally watch ‘Braveheart’. They may take my Scottish identity as a cartoonish stereotype…but they’ll never take my freedom! Rachel Rankin is currently a third year Scandinavian Studies and English Literature student at the University of Edinburgh. When she is not obsessing over all things Norwegian she likes to write and perform poetry, and she is unashamed of her undying love for the Eurovision Song Contest. To read Rachel’s poetry visit her website: www.papercutsandink.wordpress.com. I read this article and found it very interesting, thought it might be something for you. The article is called Haggis and Vikings – Stereotypes Abroad and is located at https://prancingthroughlife.com/2015/02/23/haggis-and-vikings-stereotypes-abroad/.